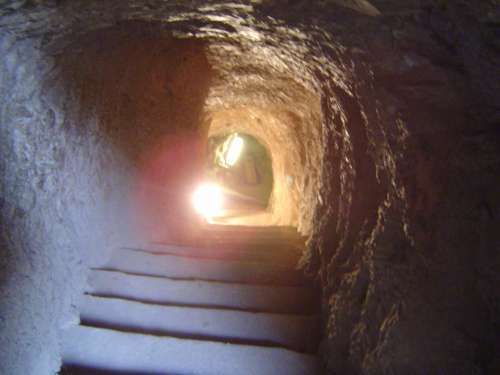 This tomb is reached via a stair with 43 steps which goes down into the rock. 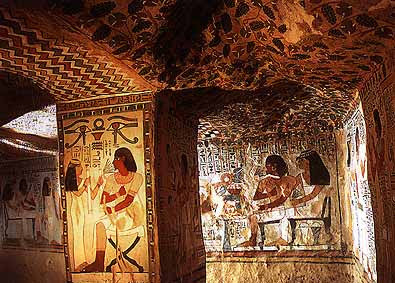 Sennefer was the Prince of the Southern City during the reign of Amon-Ofis II. 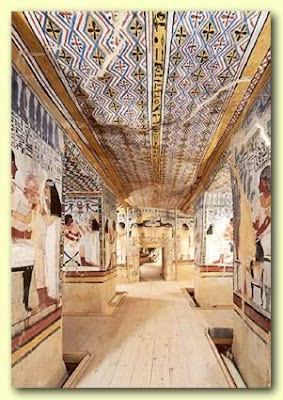 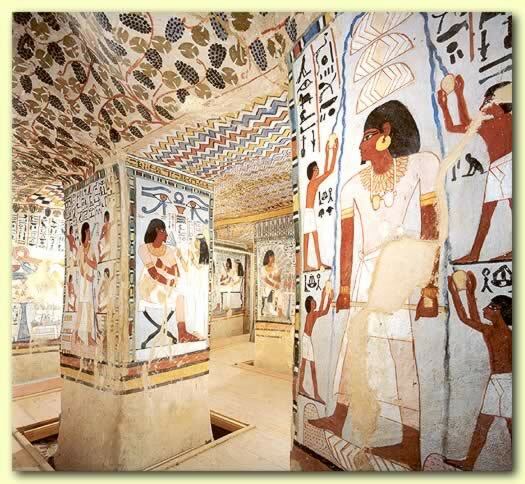 The tomb is famous for the beautiful bower of grapes painted on the ceiling of the vestibule.